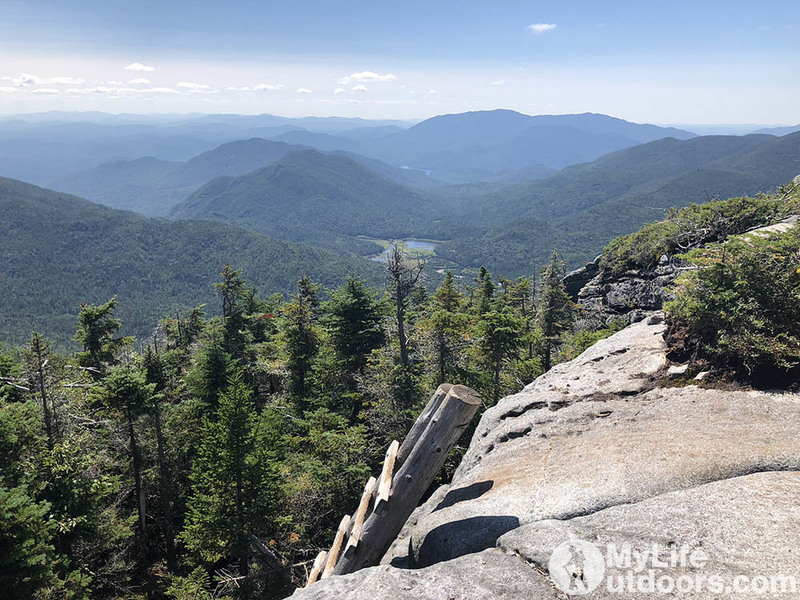 This is part two of our Adirondack backpacking trip. Read part one. 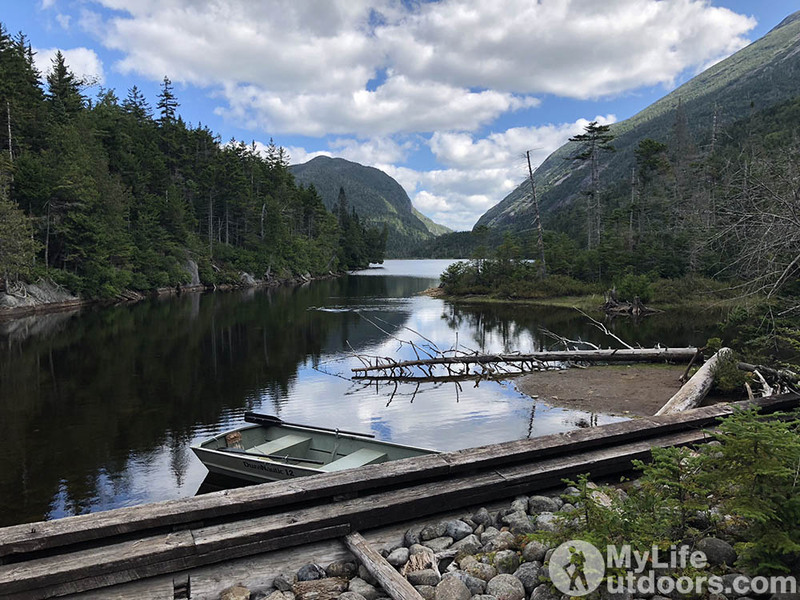 We heard that Lake Colden was a popular place to set up camp. 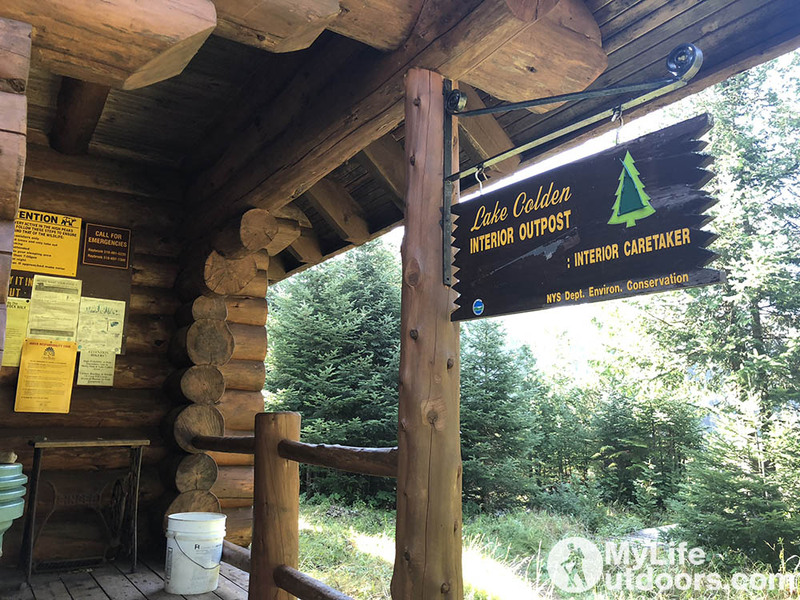 And since Adirondack state park limits backcountry camping to designated spots and shelters we wanted to make sure we grabbed a spot before they were all gone. Lake Colden looking north from the dam. A boat is available for backcountry hikers who want to explore the lake. 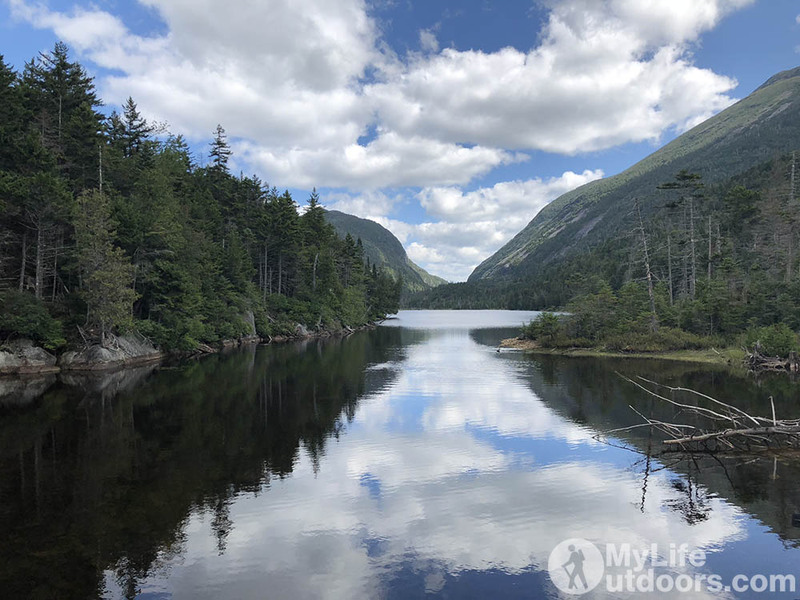 Lake Colden has a 3 designated tent sites near the shore of the lake. Each site is allowed no more than 3 tents. 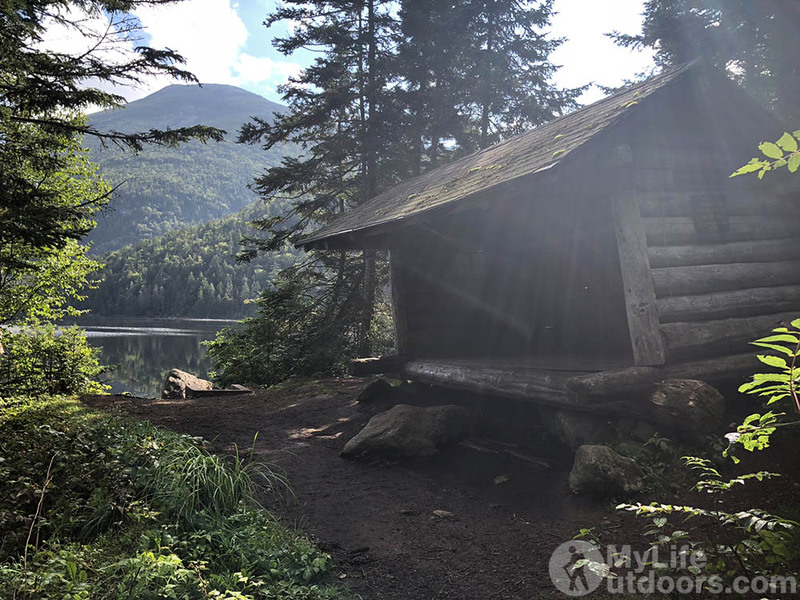 We packed up our camp just south of Avalanche Lake and made the short hike to Lake Colden and snagged a spot early in the morning. Most groups were just starting to pack up camp when we arrived. The view just down the hill from our campsite. Near the old Beaver Point Lean to. Steps down to the lake near the old beaver point lean to. Old Beaver Point Lean To. Now Condemned. Our plan was to day hike to the top of 4715 foot Mount Colden. 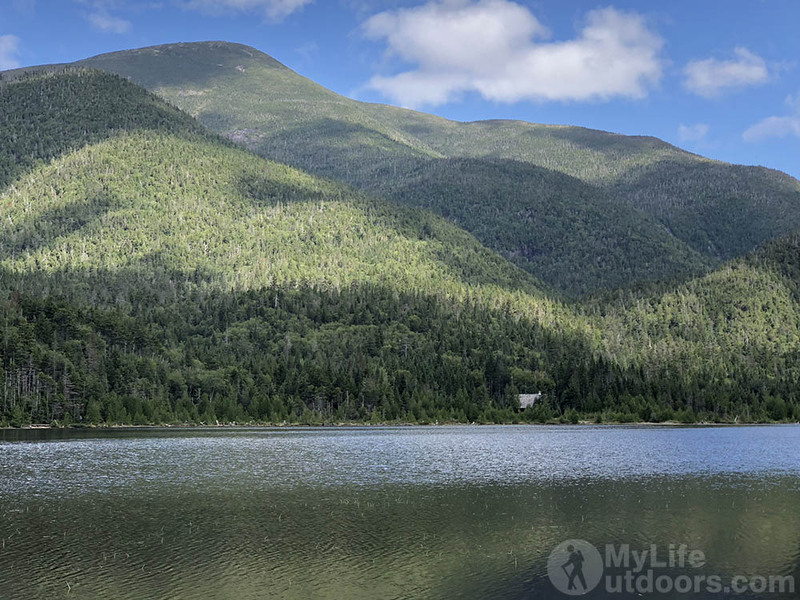 We set off across Lake Colden Dam passing a group cooking breakfast and a few more backcountry sites near Opalescent River. The view of Lake Colden from the dam is spectacular. We could see why this group choose to eat breakfast here. On there far East side of the Lake the trail to Colden’s summit (Trail 70 Red Blazes) ascends abruptly. 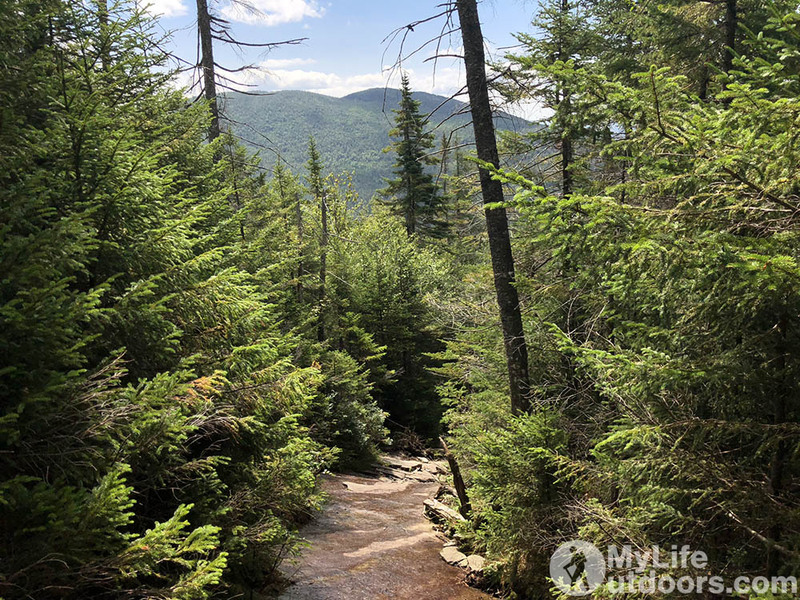 The trail is only a mile and a half while gaining almost 2000 feet of elevation. Most of the trail is very steep (class 2-3 scrambling) exposed rock that is very slick when wet. A day or two before we arrived in the High Peaks region a storm pummeled the area. Water was still seeping from vegetation preventing the trail from drying out. The more we climbed the more we worried about coming down the steep wet trail. To the extent that we considered turning back more than once. 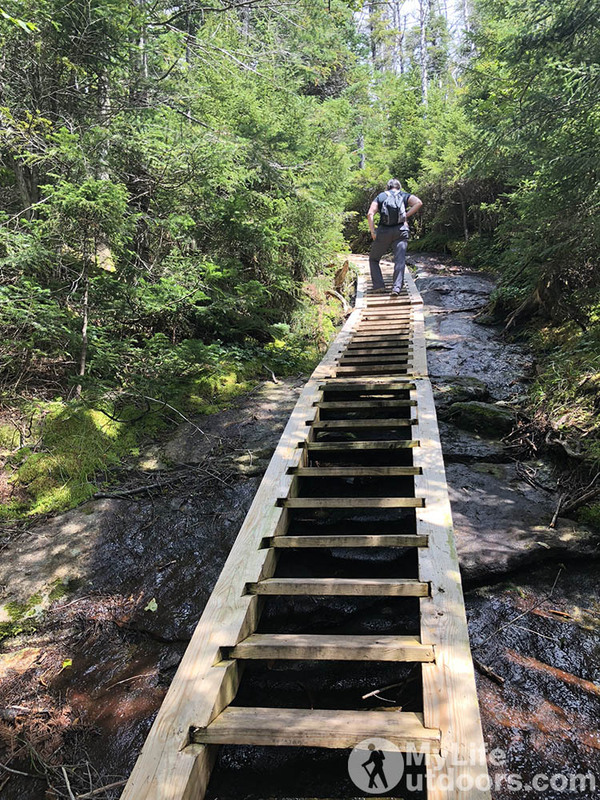 This is an actual segment on the Colden Summit trail (Trail 70) The rest of the trail isn’t much better. 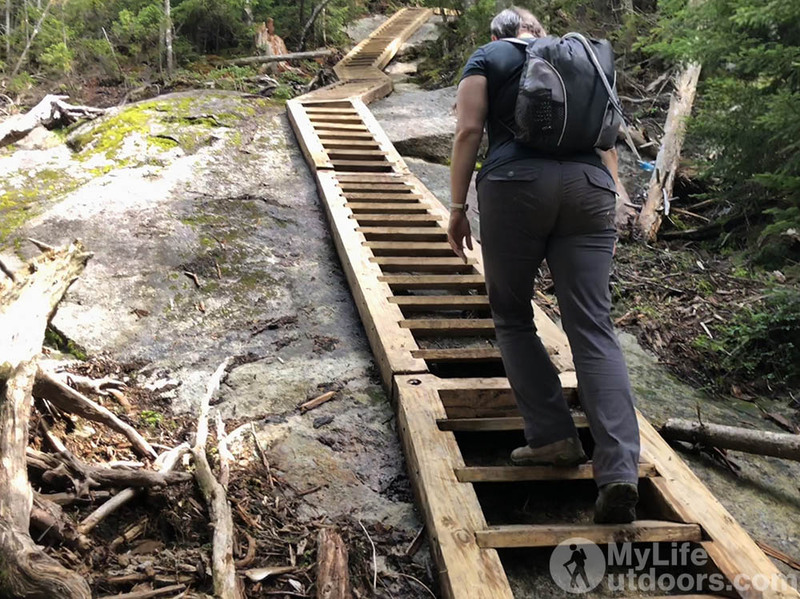 Once again we were amazed at the trail design (or lack there of) in the Adirondacks. In the early days of the park, trails were forged by guides who sought the shortest trip to the top. Switchbacks are non existent. Trail erosion is major problem. 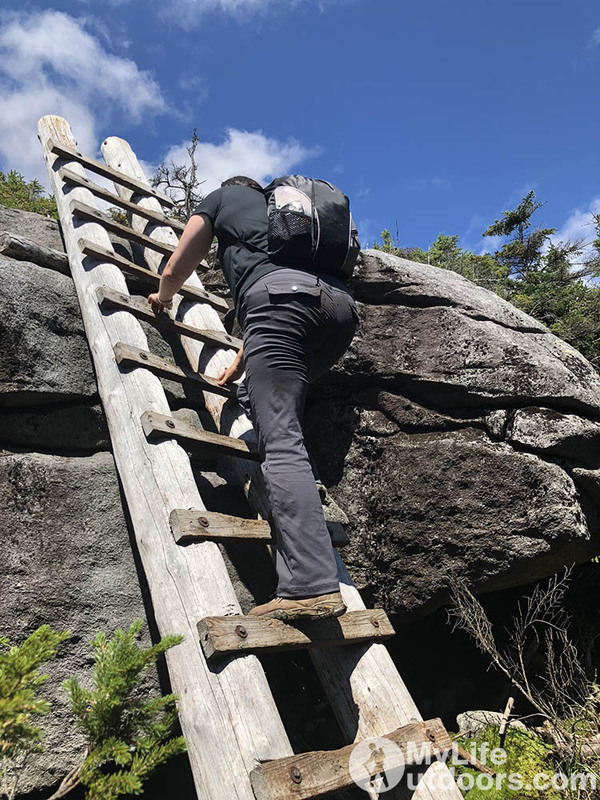 A few sections of the Mt Colden trail are so steep that hundreds of feet of stairs have been built to get hikers up the mountain. These sections became a welcome relief from the otherwise relentless steep climb to the top. More stairs leading up to Colden’s summit. Just before the summit a ladder climbs the last impassable section of trail. 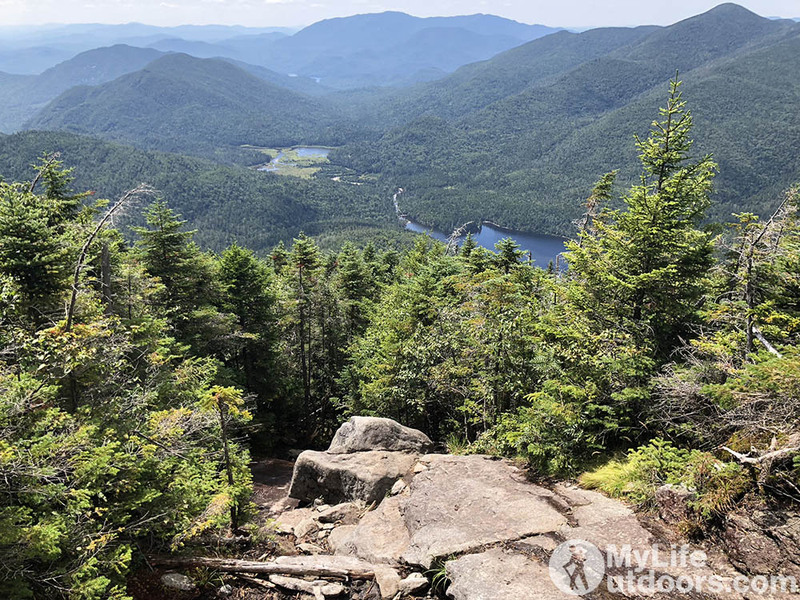 Once on top you begin to catch stunning views of Lake Colden and Flowed Land just beyond. 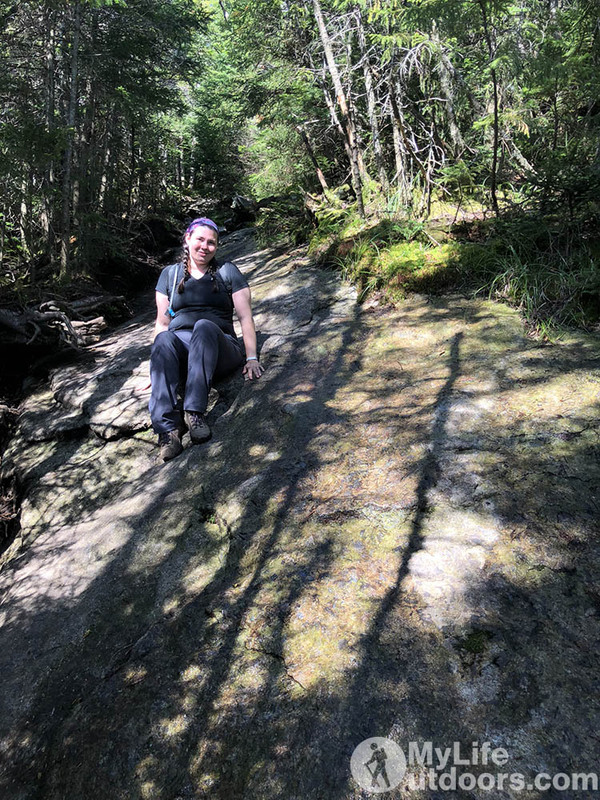 My wife and I sat along a small outcropping taking in the views while eating a summit snack. We lingered not wanting to leave the view behind and dreading the steep wet climb down. Usually you move much faster going down, but not us. Not on Mt Colden. The rock along the trail is so steep and so wet that we had to pick each of our steps very carefully. 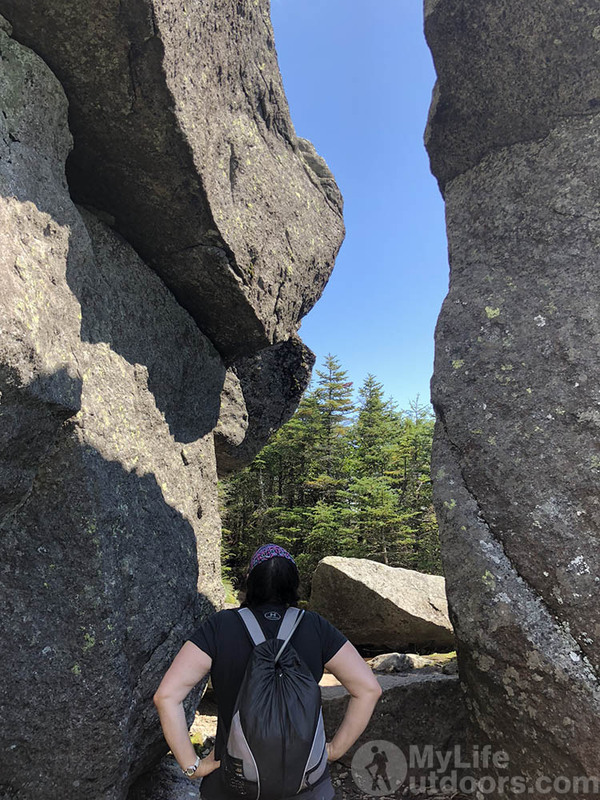 I found myself searching for and relying on small footholds to keep from slipping. At other points we abandoned upright travel altogether in favor of sliding down on our butts to feel more stable. It didn’t help that my wife slipped and fell backward nearly breaking her wrist. 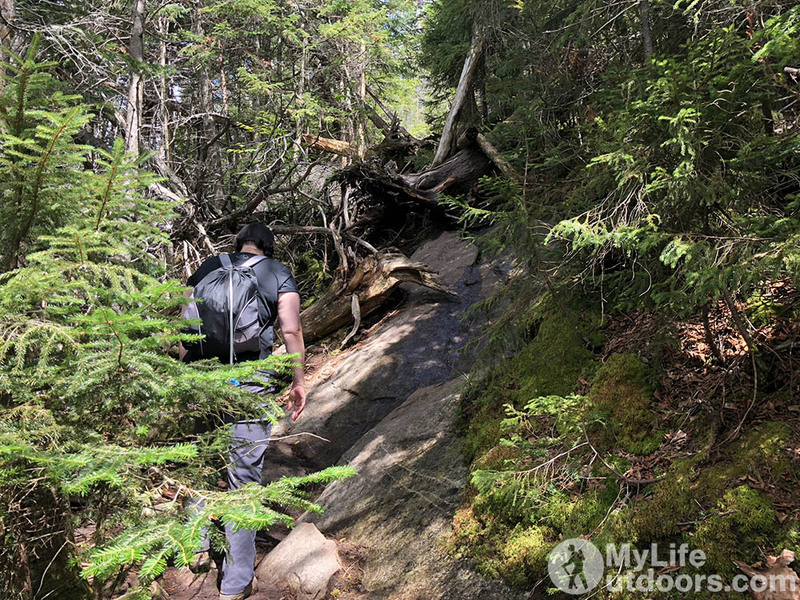 Losing all confidence we moved at a snails pace until we reached Lake Colden where the trail relatively flattens out. 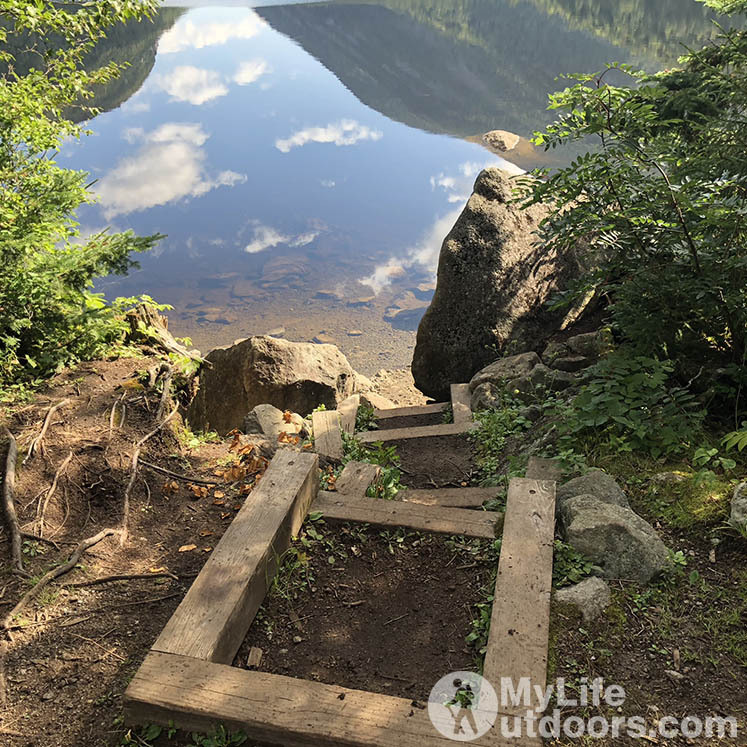 We thought the Avalanche Lake trail was difficult with its path up, over and back down large boulders. It was nothing compared to the down climb of Mt. Colden. Looking across Lake Colden to the Caretakers House. We crossed back over the dam ready to cook dinner in fading light on the shore of the lake. Tomorrow we planned to hike out. 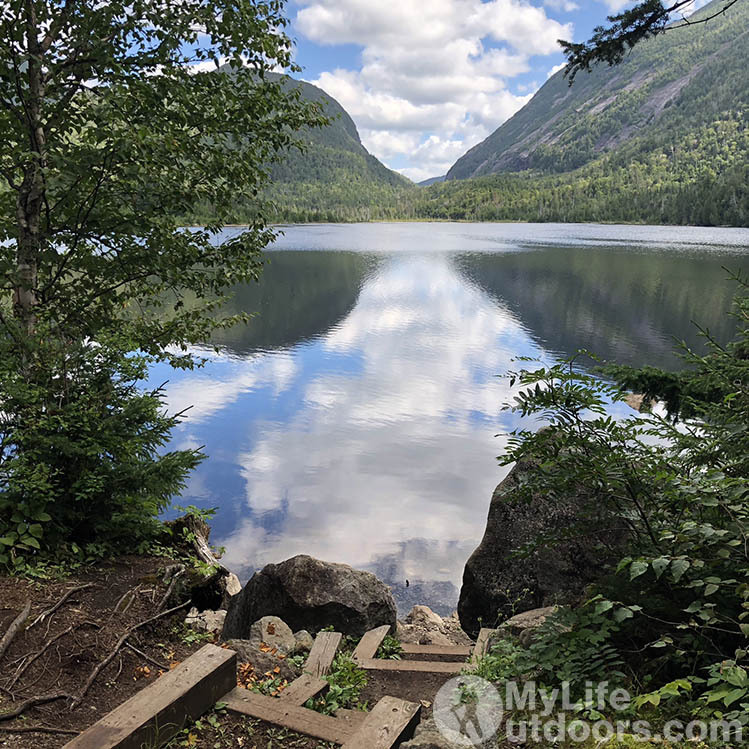 We discussed our options and decided we would rather take the long way around the East side of Mount Colden rather than make the leap across Avalanche Lake. 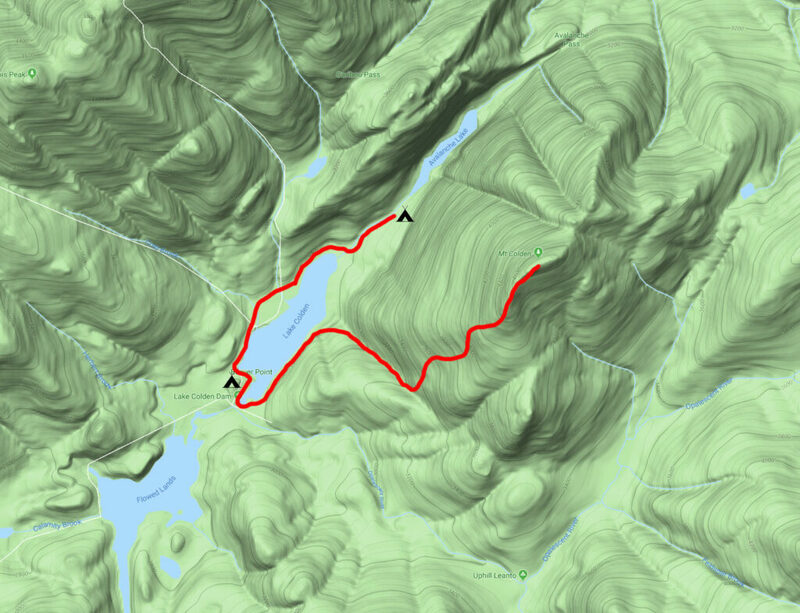 It would add several more miles and an unknown pass in an area where the trails had proved less than forgiving. But we decided to take a chance and discovered a trail so poorly designed most hikers have abandoned it as impassable. 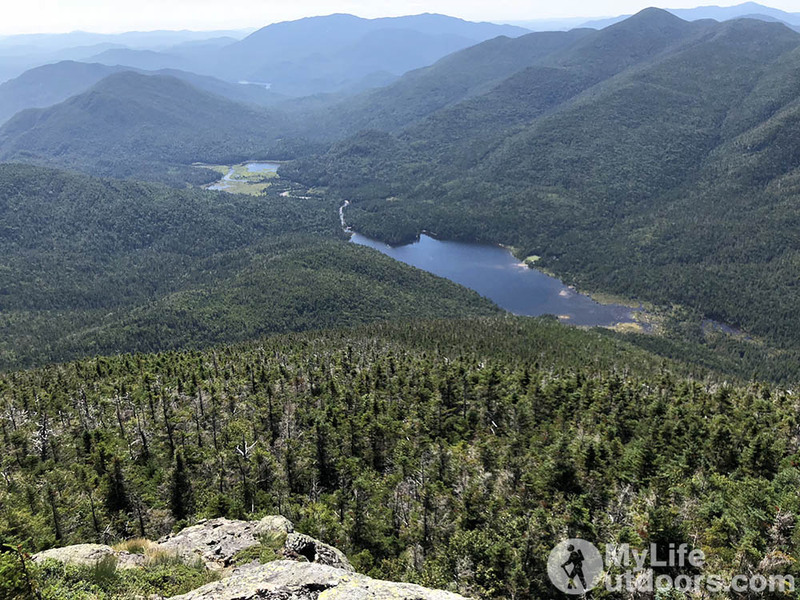 Adirondack High Peaks Map. This map is preferred over Nat Geo for locating designated tent sites. Nat Geo only lists shelters.